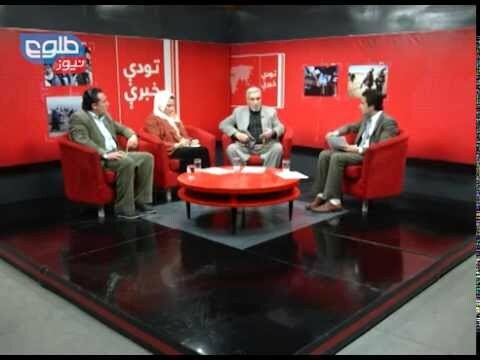 June, 2014: The recent abduction of three women in Guzrah district of western Herat province prompted Provincial Council head Kamran Alizai on Friday to criticize the government policy toward kidnappers, which he suggested is so lenient and inconsistent that it has enabled abductions to proliferate. December, 2014: President Ghani visited Herat three days after he dismissed the acting governor for Herat, Syed Fazullah Wahidi, following increased kidnappings and targeted killings of businessmen, government officials and security personnel. The acting ministers of defense and interior affairs and also the head of National Directorate of Security (NDS) are said to be accompanying Ghani where he is also expected to announce a new governor for the province. During the meeting with the elders and members of Provincial Council, President Ghani assured that the security institutions have been given new directions. However, the directions are not disclosed to public so far. "Our trip is focused on two things; security and governance,"" Ghani told the elders. 5. Kidnapped Indian Aid Worker Freed After 8 Months in Herat: http://www.tolonews.com/en/afghanistan/18329-kidnapped-indian-aid-worker-freed-after-8-months-in-herat"